It’s been less than a month since Opening Day. 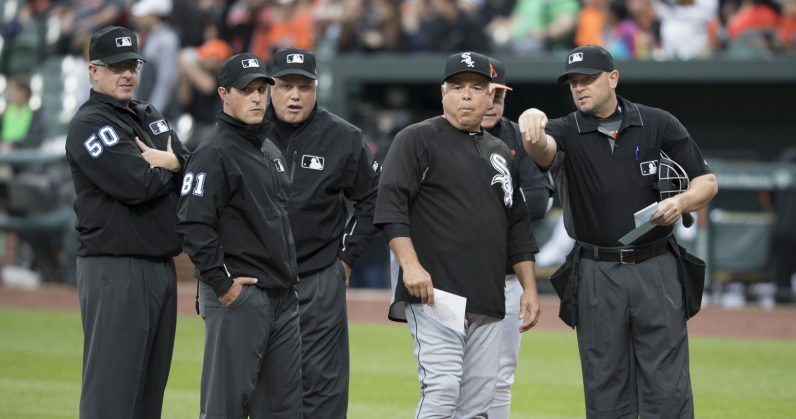 The 2019 Major League Baseball (MLB), like more than a century of professional baseball seasons before it, has already seen its share of controversial calls by the game’s most hated employees: umpires. For the home plate umpire, life can be a bit tricky. He stands inches behind the catcher, zeroing in on another man, the pitcher, standing 60 feet, 6 inches from home plate. In a fraction of a second, he’s responsible for determining whether a pitch traveling at speeds often exceeding one hundred miles per hour lands within an invisible rectangle that’s, roughly, located between the bottom of the numbers on a jersey — though that’s really more like the top of their belt, these days — and the knees. And as anyone who’s ever watched a baseball game can attest, they’re not infallible. But, how often do bad calls really happen? Well, it’s tough to say, as we’ve never had the data needed to quantify just how blind an umpire really was. MLB, for reasons we can all understand, didn’t make it easy for stat heads to see just how bad its umpires were, until recently. In the 2000’s, MLB started to retrofit all 30 professional stadiums with triangulated pitch cameras. Each camera can track a ball up to 50 times in the period after it leaves the pitcher’s hand, and the time it crosses home plate. The cameras are said to be accurate to within an inch. Now we see this overlaid pitch data on every MLB broadcast. This, of course, doesn’t do the umpires any favors. A team from Boston University got its hands on the data, tracking more than four million pitches and superimposing them onto a normalized version of the standard strike zone map — the same one, roughly, you see on every TV broadcast. The team then set out to measure every ball and strike call, ranking the error rates for each active umpire. It called the findings the “bad call ratio.” Higher ratios signified poorer-performing umpires. Botched ball and strike calls were the most frequent errors, happening at least 20 percent of the time. That’s one in five calls. This means that it’s entirely possible for a single batter to have multiple bad calls in the same at-bat, or for each team to experience two, three, or more missed calls in the same half inning — the time they spend batting. On two strike counts, umpires somehow got even worse. Here, the error rate jumped to 29 percent, or nearly one out of every three calls. Another interesting finding is that these mistakes weren’t coming from the younger, more inexperienced umpires. The average age of a major league umpire is 46-years-old, but the best umpires in the business, according to the analyzed data were, on average, just 33. Like baseball players themselves, umpires seem to have a shelf life. But if you thought all that was bad, I’ll leave you with this: in 2018, the average MLB game featured an average of 14 bad calls per game, or 1.6 per inning. In total, 55 games ended on an incorrect call, in fact. So keep shouting. They clearly can’t see, but maybe their ears still work.